Ted, Lucky, and Holly are getting a little more active. As the temperature rose to 43°F, Lily Fans documented the bears’ activities as Ted came out for a walk in the snow Raccoon https://www.youtube.com/watch?v=BdgSxfQTons, as Lucky spent time at his entrance https://www.youtube.com/watch?v=R9l8WQZh8Io, and as Holly ventured out https://www.youtube.com/watch?v=BRhPWY1cFRA&t=1s. Do you have any suspicions as to the father of Lily’s cubs based on their markings? Answer: The light muzzles on so many of her cubs makes me suspect that Big Harry had some involvement, but they could have gotten that from Lily herself. The one male I saw her with in 2010 was not a male I know. It was at the southwest edge of her territory where unfamiliar males could live. He may or may not have been the father of Faith and Jason. Otherwise, she has been very private about that part of her life. Why do you suspect that some bears are late to hibernate? Two different fans reported younger males out alone late. Answer: I don’t know the answer and can agree that young males are among the latest to den. Mothers with cubs of the year are also late. It’s like she can’t get the kids to go to bed. 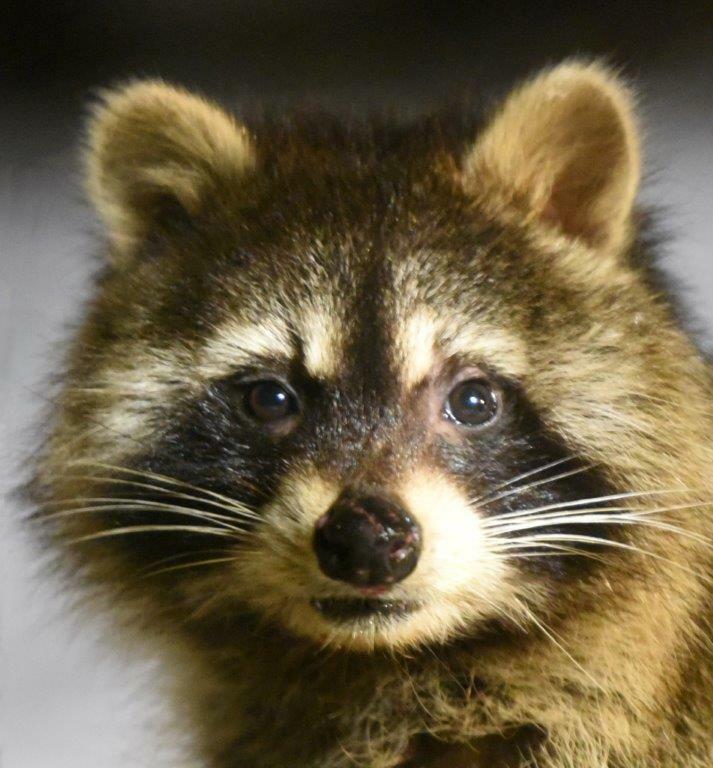 Why are raccoons a sign of spring? Do they hibernate or do they migrate? Answer: Raccoons this far north spend a lot of time in hibernacula, often grouping with other raccoons. I’m not sure they can find raccoons to group with around here, though, considering how uncommon they are. Out the window, Peggy got a mug shot of the bandit that stole a second slab of bacon. This one has a slanted scar on its muzzle. On another topic, this video of a polar bear gives a very different view of the polar bear. It is not the usual “carnivore that stalks humans.” I might have said this before, but I was doubly scared of polar bears back in 1982 when 4 of us got in a small plane and flew up to Churchill to photograph them. I had just seen the National Geographic TV special “Polar Bear Alert” in which polar bears seemed to be trying to get a man in a cage. To emphasize the impression, the producer, who had been in the cage, got back on a tundra buggy and said ”They wanted to get atcha.” When a polar bear would so much as look at us, we skedaddled to the van. Then I got talking with a man who said he was there when National Geographic filmed it. He said the main attraction was sardine oil in and on the cage. Hearing that, I looked at polar bears more objectively and dared to lie down to get better pictures looking up at them, including the picture on the front of the Bear Center taken from about 15 feet away. No problems. Now I’m learning from experts who have spent a lot of time among them that I wasn’t crazy. The best example is Nikita Ovsianikov who walks among them on the Wrangel Island that is north of Russia. He carries a long stick and seldom has to prod them. He said that polar bears are risk averse, much like black bears. Now we see that polar bears can love. This big polar bear raised by this man obviously loves him and makes the motor-like hum of contentment toward him. https://www.youtube.com/watch?v=eiE7GNkr9Uo. Thank you again for putting the PTZ cam fundraiser over the top.